This Airheads Sugar-Free Gum in Cherry flavor is sugar-free and contains micro candies inside to allow the flavor to last longer. 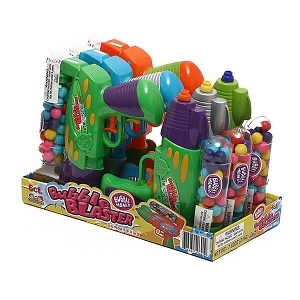 Gum is a unique item to fit into a candy category because it's not something sweet that you eat, you chew and then throw out the pieces once the flavor is gone. 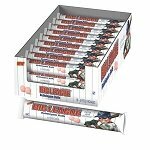 However, that doesn't mean that gum isn't a fun candy and customers are sure to enjoy each and every piece of the individually wrapped fourteen sticks inside each pack. Sugar-free means that even diabetics and those watching their sugar intake can carry this gum with them to savor throughout their day. 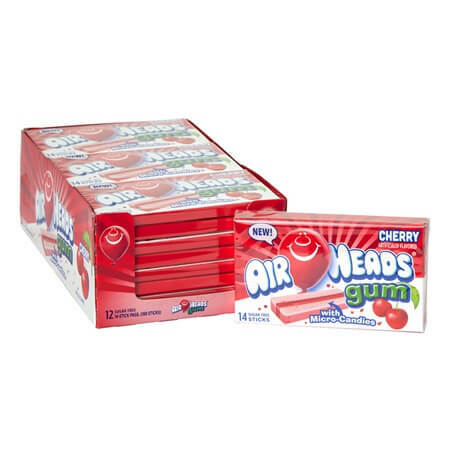 We also offer this airheads gum in watermelon flavor as well as in blue raspberry flavor so you can stock up your sugar-free gum section as well as placing them available tastes near the registers as impulse purchases. Each box holds twelve packs of the cherry gum and each pack holds fourteen pieces of yummy cherry chewing gum. These packs will go wonderfully in gift bags, lunch boxes and carried with you on a daily basis for enjoyment as well as in those moments you want to be sure you have fresh breath. Order yours today! Ingredients: (To show sweeteners used) Xylitol, Sorbitol, Chewing Gum Base, Glycerol, Maltitol Syrup, Contains Less Than 2% Of: Malic Acid, Artifical Flavors, Citric Acid, Tartaric Acid, Aspartame, Carrageenan, Coconut Fat, Sucralose, Lecithin (Soy), Acesulfame-K, Sucrose Fatty Acid Esters, Colors (Paprika Oleoresin, Carmines), BHT To Maintain Freshness.